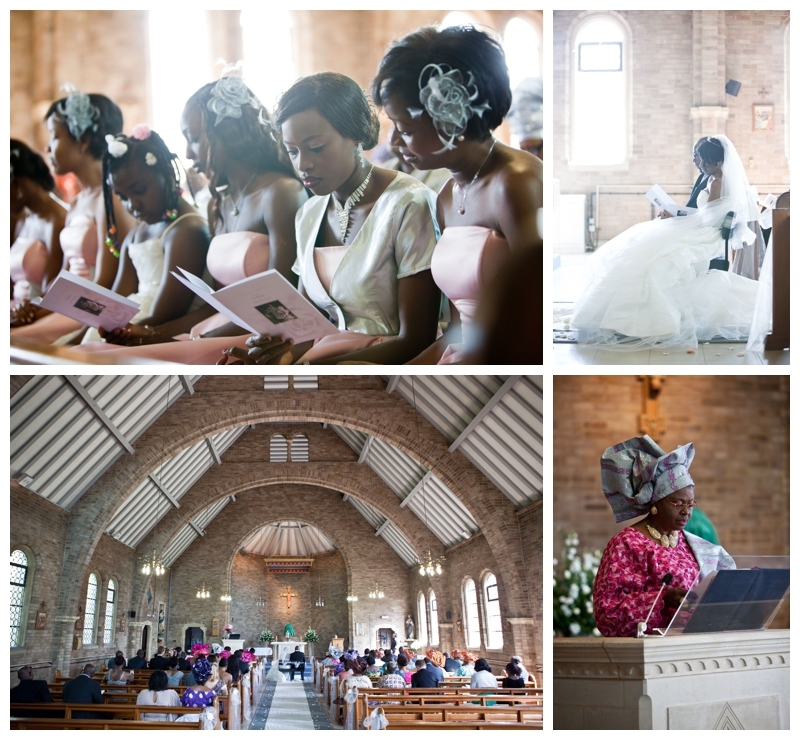 This year I have photographed an American bride in the Outer Hebrides and an Irish bride on the Amalfi Coast and last weekend I got to photograph a Nigerian bride in the beautiful English Bedfordshire countryside. I don't know the area well but early on a bright Thursday morning I found myself driving along the Embankment of the River Ouse in the heart of Bedford to The Bedford Swan Hotel to find my Tara and her 7 (!) 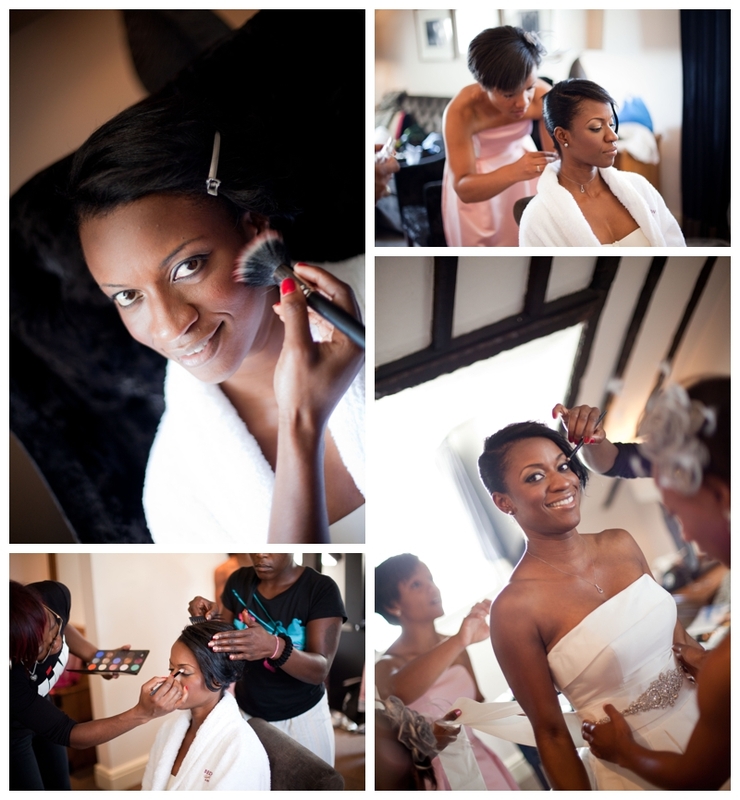 bridesmaids getting ready in a gorgeous exposed timber room. After shooting the preparations for an hour or so I headed off 10 minutes down the road toChrist the King Church for the ceremony. 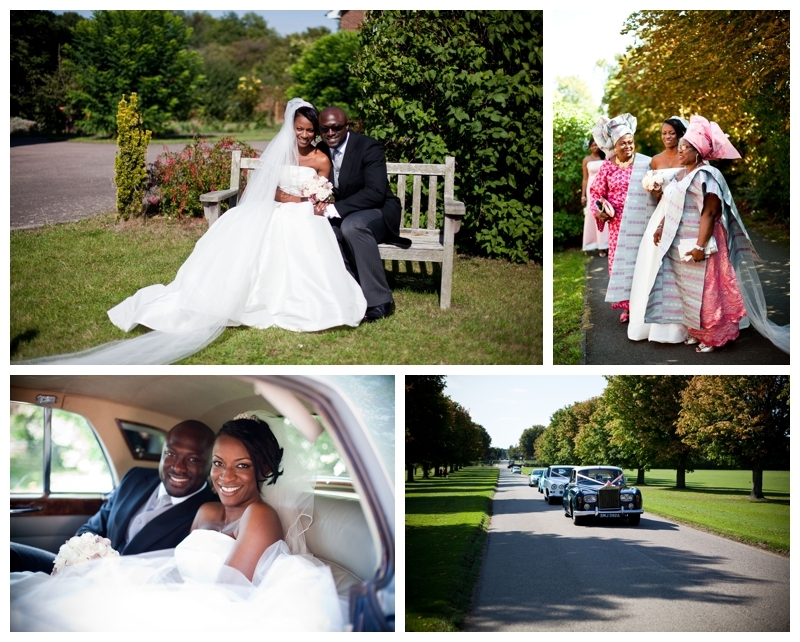 And then on to Wrest Park which I blogged about recently as we did their engagement shoot there. It is staggeringly beautiful and only recently opened to the public after extensive renovations. I could have spent hours shooting in the gardens but we kept it fairly quick so the couple could get back to their party. Whilst we were shooting the rest of the party were able to go on a little tour of the grounds themselves. For me the highlight was the entrance of the bridal party which was led by the two mothers dancing their way through the rest of the guests. And the dancing and smiling didn't stop all night. In fact I don't think Tara left the dancefloor all evening! I was delighted to have Ioannis Crouch of Reel Emotion doing the video as he was a pleasure to work with and good company.